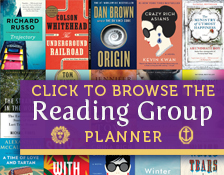 The questions, discussion topics, and author biography that follow are intended to enhance your group’s reading of Philip Roth’s American Pastoral. We hope they will open up new approaches to this explosive and viscerally moving novel by one of the most esteemed American writers of the twentieth century. Seymour “Swede” Levov comes of age just after World War II, in a thriving and triumphant America. A legendary high school athlete, the diligent and successful inheritor of his father’s glove factory, the proprietor of an eighteenth-century stone house in the heart of WASP country, the devoted husband of a beautiful and intelligent wife, and the father of a charming daughter, the Swede appears to have fulfilled the ambitions of generations of struggling forebears. But his carefully constructed life begins to collapse as he and America face the challenges of the turbulent sixties, and he sees his adored daughter, Merry turn, first into a rebellious adolescent and then into a revolutionary terrorist. As Swede Levov watches in bewilderment everything he treasures, everything so industriously created by his family over the course of three generations, is blown up by an angry girl’s bomb. American Pastoral is a wrenching and cathartic piece of work. It is a book about America: about loving and hating it, about wanting to belong and refusing to belong. 1. What is the effect of being told the story through Zuckerman? Are we led to believe aspects of the story are a projection of Zuckerman’s fantasies about a character who caught his imagination? 2. Zuckerman sees the Swede’s life as an illustration of the Jewish “desire to go the limit in America with your rights, forming yourself as an ideal person who gets rid of the traditional Jewish habits and attitudes, who frees himself of the pre-America insecurities and the old, constraining obsessions so as to live unapologetically as an equal among equals” [p. 85]. How does Roth illustrate this thought? The Swede tries very hard to form himself as this ideal person. Does the story imply that such a life, such a reinvention of the self, is ultimately impossible? 3. There could hardly be two more different personality types than the Swede and his brother, Jerry. What do Jerry’s positive traits tell us about the Swede’s negative ones? Why have the two of them chosen such different paths? 4. Does Lou Levov appear to be a benign or a negative influence on his sons’ lives? How, if at all, has he contributed in making the Swede what he is? 5. The passionate kiss that the Swede gave Merry when she was eleven was a once-in-a-lifetime transgression. “Never in his entire life, not as a son, a husband, a father, even as an employer, had he given way to anything so alien to the emotional rules by which he was governed” [p. 91]. Later the Swede fears that this moment precipitated the infinite anger of her teenage years. Is this conclusion erroneous? What does it reveal? 6. The Swede believes that the political radicalism professed by Merry and Rita Cohen is nothing but “angry, infantile egoism thinly disguised as identification with the oppressed” [p. 134]. Is the answer as simple as that? How genuine is Merry’s identification with the oppressed? Are her political arguments convincing? 7. What effect did the experience of watching, as a child, the self-immolation of the Buddhist monks have upon Merry? Does her reaction seem unusual to you? Did it affect what happened to her later? 8. What effect do all the details about the glove trade have upon the narrative? How do they illuminate the story? 9. Do you believe Merry when she says that she doesn’t know Rita Cohen? If she is telling the truth, who might Rita Cohen be? What is her function within the story? 10. The Swede planned his life to be picture perfect, and he lived that life until it turned dark and violent. Was his life the essential American Dream, or was it a nightmare rather than a pastoral? What comment does the novel’s title make upon the story it tells? 11. What are Merry’s feelings for America? What are her feelings for her parents? How are the two connected? 12. Merry’s stuttering began to disappear when she worked with dynamite. What emotional purpose did Merry’s stuttering serve, and why was she able to leave the handicap behind her when she left home? 13. When the Swede calls Jerry to ask for his advice, he is treated to a diatribe. “What’s the matter with you?” Jerry asks. “You’re acceding to her the way you acceded to your father, the way you have acceded to everything in your life” [p. 273]. Is Jerry right? Should the Swede force Merry to come home? Why does the Swede refuse Jerry’s offer to come get Merry himself? 14. Why does Merry, when she becomes a Jain, choose to settle in the neighborhood of her father’s factory in Newark? 15. Does Dawn, in reinventing herself after Merry’s disappearance, seem ruthless to you, or do you sympathize with her struggle for personal survival? When she tells Bill Orcutt that she always hated the Old Rimrock house, is she telling the truth? And is she telling the truth when she claims she is glad that she didn’t become Miss America? 16. Describing his brother, Jerry says, “In one way he could be conceived as completely banal and conventional. An absence of negative values and nothing more. Bred to be dumb, built for convention, and so on” [p. 65]. Is this how you see Swede Levov by the end of the novel? Does he depart from banality and convention? 17. “His great looks, his larger-than-lifeness, his glory, our sense of his having been exempted from all self-doubt by his heroic role—that all these manly properties had precipitated a political murder made me think of the compelling story…of Kennedy” [p. 83]. In what ways do American Pastoral‘s political metaphors reflect the story of mid-century America? Why might they be presented through a Kennedy-like figure? 18. The Swede “had learned the worst lesson that life can teach—that it makes no sense.” What leads him to this conclusion? Did his life in fact make no sense? Saul Bellow, The Dean’s December; André Brink, A Dry White Season; Robert Coover, The Public Burning; Joan Didion, Democracy; E. L. Doctorow, The Book of Daniel; Ford Madox Ford, Parade’s End; J. G. Farrell, Troubles; Nadine Gordimer, The House Gun; Doris Lessing, Children of Violence; Julia O’Faolain, No Country for Young Men; Mordecai Richler, Solomon Gursky Was Here; Paul Scott, The Raj Quartet; Robert Stone, Dog Soldiers; William Trevor, Fools of Fortune; John Updike, Rabbit Redux. Read an author bio and view a complete list of titles by Philip Roth available from Random House here.